Stay warm with even variable speed heating to increase your comfort and 96.2% AFUE for energy savings. 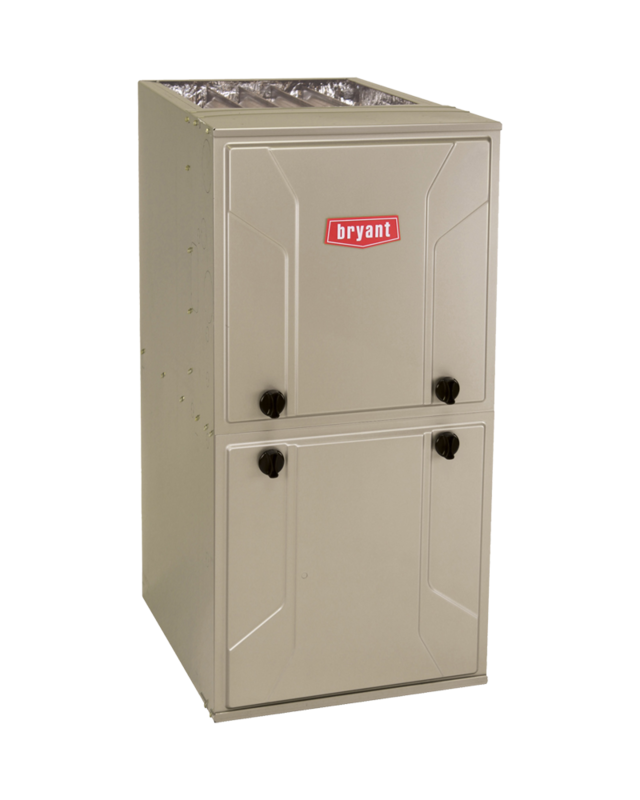 Bryant’s Preferred Series gas furnace offers incredible reliability, proven to keep you and your loved ones comfortable season after season, at a great value. 96.2% AFUE High Efficiency Gas Furnace. Choosing a high efficiency furnace will provide you with lower heating costs and you may qualify for utility rebates. Plus, by burning less fossil fuel, you contribute to a greener planet. Ask your Washington Energy Home Energy Specialist for more information. Rather than the harsh on/off operation of a single stage furnace, this two-stage model has longer, more consistent heating cycles. Using the low stage for longer intervals is quieter, saves energy and keeps the house more comfortable. The pulse width modulating motor varies fan speed efficiently. Along with utilizing the two stages, this allows for several ways to adjust in delivering and holding desired temperatures. Results are greater energy efficiency and more even air distribution throughout the room, eliminating hot and cold spots. Bryant’s excellent warranty lets you enjoy your comfort with peace of mind. Bryant builds trusted reliability into every product as they have since 1904. Their lifetime limited warranty on the heat exchanger (for original owner) and 10-year standard parts limited warranty must be registered within 90 days of installation through Bryant. Ask your Washington Energy representative for more information. 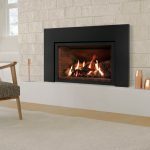 How do I know which gas or propane furnace is right for my home? 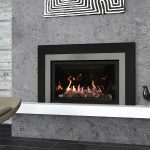 There are several factors for you to consider in choosing the right furnace. Energy efficiency. Modern furnaces range between 80% and 98.3% energy efficient and that difference can be a meaningful change in the amount you pay for your gas or propane bill. Size. Not only does size matter in efficiency but it affects the length of life of the furnace, quality of it’s operation, parts wear out and your comfort. The good news is that you don’t have to guess at the size, your qualified contractor does a heat loss calculation (per Washington State Code) and provides you with the correct size. The Contractor. Yes, if you read Consumer Reports, Consumers Digest or even our local Checkbook, the number one determinant of a quality heating system is the installation. Washington Energy’s installers are all our own employees, never a subcontractor. They are NATE certified (industry certification) and Bryant Factory Certified, so you know they have been trained on the specific products they are installing. What are common signs that my furnace may need to be replaced? How old is your furnace? The life of a furnace is roughly between 16-20 years. Over that time, even annually maintained furnaces wear and become less efficient. That means that after 15 years, that 80% AFUE furnace is likely running less than 80% efficient, and efficiency equals money. Another indicator would be if your furnace turns on excessively or blows cold air out at times, that could be a simple repair or wear out issue, and you may wish to try service first then possibly replacing your furnace. Can you relax knowing your home is warm and your furnace is operating efficiently? If not, give us a call at 800-398-4663. What can I save by converting to a gas furnace? If you have oil, converting to a gas furnace will cut your heating cost in half according to 2013 home heating fuel cost comparison by Snohomish County PUD. Based on their estimation of an average Puget Sound area home, that is over $1000 in savings! Plus there will be no need to schedule and refill storage tanks in your yard. 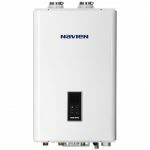 The only thing more cost efficient than a high efficiency gas furnace is adding a heat pump to it, that will further decrease your heating costs. Again according to Sno-PUD, the electric heat pump option will save 75% of the cost that you’d incur from using oil for heating. Wow, that’s big heating savings. Are there rebates that can offset the cost of a Bryant 96% Furnace cost? We actively seek all rebates to get you the lowest price possible, and as a contractor with most of the local utilities we have many to offer. For example, if you are a PSE natural gas customer, furnaces with 95%+ AFUE rating, (like the Bryant Preferred 96.2 % efficient furnace), can qualify for PSE’s $250 rebate. There are no federal tax credits at this time. You always save when you choose EnergyStar certified products and this furnace is no exception. 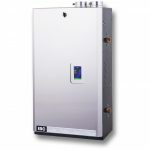 Bryant gas furnaces meet or exceed the national energy efficiency standard, 90% AFUE, to quality as EnergyStar products. These provide a higher level of efficiency, cutting uitlity consumption and cost.